Don’t mind me, I’ll just be giggling madly in the corner here… So, this morning the ever lovely Stephen Theaker posted the BF Awards shortlist for this year…. on the BFS website here, in full. This is such a fantastic list with some fab people on it (Lightspeed’s Women Destroy SF! Jen Williams! Spectral’s Book of Horror! Mark West! Holdfast! Lightspeed!) so huuuuuge congrats to all the nominees…. 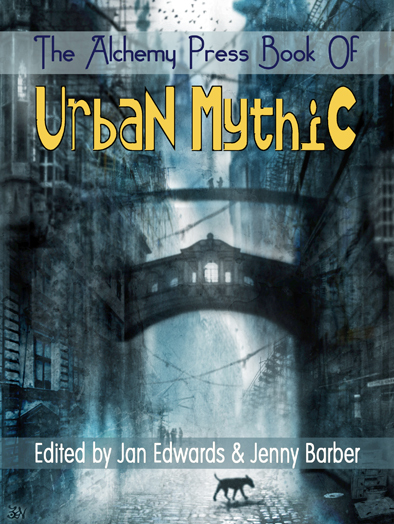 The absolute highlight though is in Best Anthology where Urban Mythic 2 scored a nomination! To say Jan and I are insanely pleased would be an understatement of epic proportions. We are INSANELY pleased! And! Wicked Women copped a sorta mention too as the awesome Gaie Sebold got a Best Short Story nom for ‘A Change of Heart’ which appeared in it. Babylon Steel stories for the win! Did I mention Jan and I are insanely pleased? There is happy dancing. Just in time for Halloween, Wicked Women (edited by Jan Edwards and Jenny Barber) has landed! Available in paperback or ebook formats from your local Amazon or Barnes & Noble.com. Spooktacular! (Sorry. I’m not sorry!) From thieves and tyrants to witches and warriors, here are twelve tales of women who gleefully write their own rules, women who’ll bend or break the social norms, who’ll skate along the edge of the law and generally aim to misbehave. 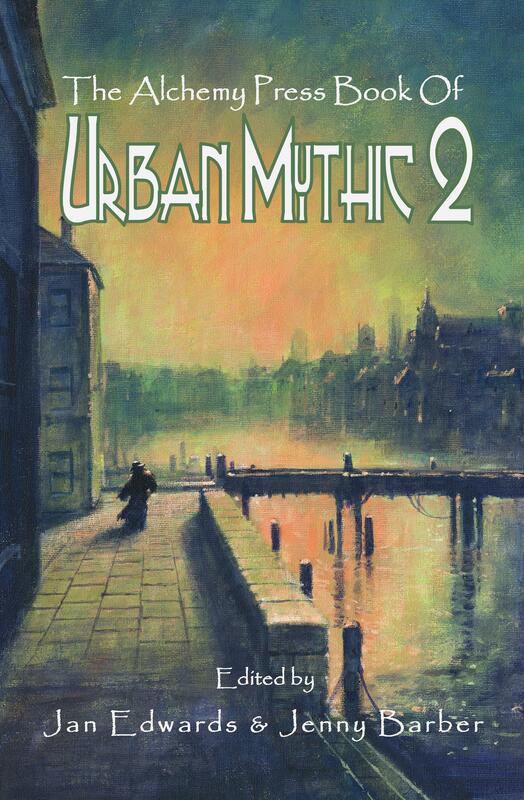 But anyway, Urban Mythic, innit! Lovely author people who will be floating around are: Jaine Fenn, Christopher Golden, Alison Littlewood, Anne Nicholls, Gaie Sebold, Adrian Tchaikovsky, Jonathan Oliver, Ian Whates & Ben Baldwin. But my lovely people-folks, that’s not all. Oh no! Selected members of Team Urban Mythic will be doing a reading event on the Thursday! From 2:00 – 2:30pm in Hall 8B. And you’ll probably also find Jonathan at the Solaris table in the Dealer Room too! And Editor Jan Edwards wandering around having fun! And Editor Jenny Barber (hello!) lurking behind the registration desk Weds – Sat.